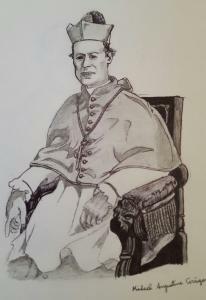 Joseph Rosati was born at Sora, in Italy, January 30, 1789, of a respectable and pious family. After his studies he entered the novitiate of the Priests of the Mission at Rome, and made his theological course at Monte Citorio under the apostolic Father De Andreis, and after his ordination was frequently his companion. When Bishop Du Bourg visited Rome in 1815 to obtain priests for the Diocese of Louisiana, Father De Andreis was selected as one of the missionaries. He at once wrote to Father Rosati, asking him to join them if he wished. Father Rosati at once resolved to go; he made the journey to Toulouse, and, accompanying Father De Andreis thence to Bordeaux, embarked June 12, 1816. They reached Baltimore after a voyage of six weeks, and proceeded to Bardstown, where they set to work to learn English. Father Rosati the next year began his labors by a mission at Vincennes, and then proceeded to St. Louis. When the first log seminary of the Lazarists was established at the Barrens, Father Rosati was made superior, manfully meeting all the poverty and hardships incident to a new institution on the frontier. In 1820 he became superior of the Lazarists in this country, and three years afterward opened a college, never ceasing constant missionary work amid all his other responsibilities. 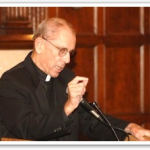 With the increasing community under his direction, Dr. Rosati did much give Catholicity order and life in Missouri. 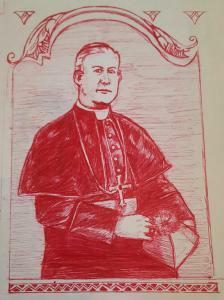 Bishop Du Bourg, seeking a division of his diocese, proposed Father Rosati as Vicar-Apostolic of Florida; but the Lazarist declined the appointment, preferring to remain at his post in Missouri. 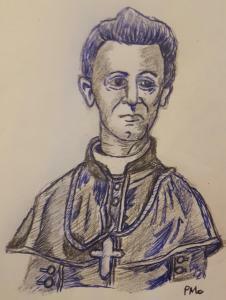 In 1823 he was appointed coadjutor to Bishop Du Bourg, and it was ordained in 1826 that a see should be established at New Orleans and another at St. Louis, Bishop Du Bourg to select which he preferred, the other to be filled by his coadjutor. Father Rosati was accordingly consecrated Bishop of Tenagra on the 25th of March, 1824, but continued to reside in Missouri. On the resignation of Bishop Du Bourg he administered the diocese till he was made first Bishop of St. Louis in 1827, and a new bishop was consecrated for New Orleans. Able at last to devote himself to the Diocese of St. Louis, he aided the Jesuit Fathers in their good work and the Ladies of the Sacred Heart, introduced the Sisters of St. Joseph, Visitation Nuns, and Sisters of Charity, thus endowing Missouri with communities for education and works of mercy. He began a cathedral, and by his energy soon had a large and elegant edifice, which was dedicated with great pomp in October, 1834, five bishops taking part in the ceremony. 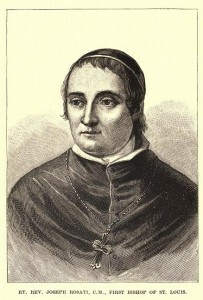 Bishop Rosati held a synod of his clergy in 1839, adopting wise statutes. Though not in the Province of Baltimore, he took part in the first four provincial councils held in that city. After the close of the fourth council, in 1840, he visited Rome, and the Sovereign Pontiff then confided to him a mission to the republic of Haiti to arrange for the reestablishment of episcopal sees on that island. Meanwhile he had obtained the appointment of the Rev. Peter Richard Kenrick as coadjutor, and returning to the United States consecrated him at Philadelphia. 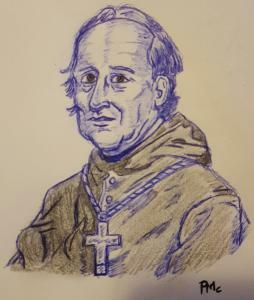 Bishop Rosati then proceeded to Haiti, where his negotiations were most successful, and the terms of a concordat were agreed upon, which was to be signed at Rome by a Haitian envoy. After confirming a great number in Haiti he set out for Rome to make his report to Pope Gregory XVI. He was seized with a serious illness in the Eternal City, but, recovering, set out for his diocese by the way of Paris. There his disease returned, and his physicians counseled a return to Rome. He reached it only to die on the 25th of September, 1843. Bishop Rosati was eminent for his holy life, his zeal as a priest, his successful administration as a bishop, his learning, his eloquence. He built up the diocese from a very slender beginning, organized the Indian missions, and extended the work of the Church beyond the Rocky Mountains. John Gilmary Shea, The Hierarchy of the Catholic Church in the United States (New York: The Office of Catholic Publications, 1886), 162-163.